We love sharing the gift of great music with the people of our community. And though we sell tickets at a number of shows each year, we also have a lot of expenses. 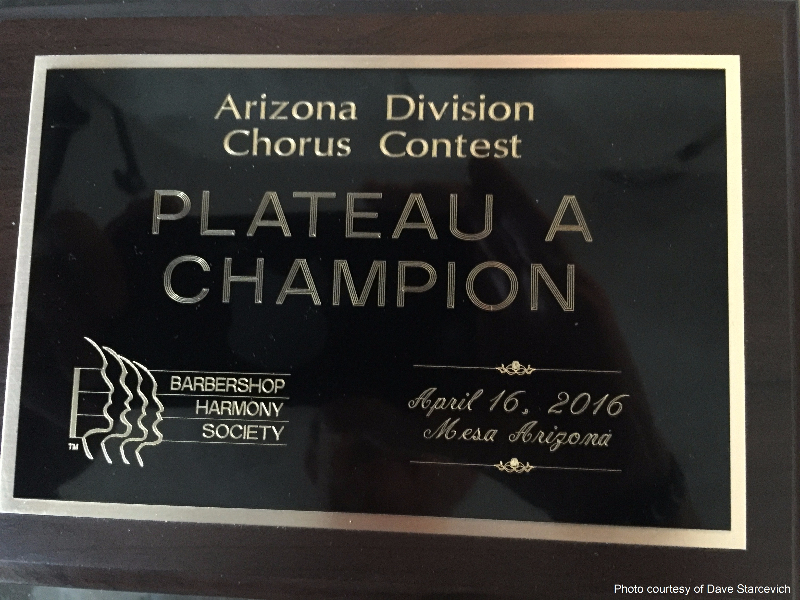 The DESERT AIRES MEN'S A'CAPPELLA CHORUS (A Championship Barbershop Chorus) is affiliated the Barbershop Harmony Society, a 501(c)3 non-profit educational organization based in Nashville, Tennessee. Gifts are tax deductible to the extent allowed by law. Thank You to all of our Friends who attended our Christmas Show. We hope you enjoyed the show as much as we enjoyed performing for you. 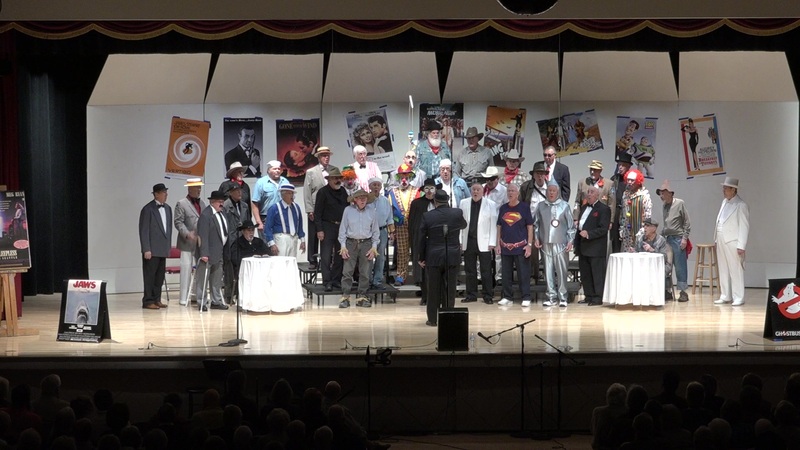 For those who are new to barbershop music, 'Welcome'. To our old friends, 'Welcome back' Our production team has been working on a video set of picture clips that we hope you'll enjoy. It is of some previous annual shows of which we are extremely proud. 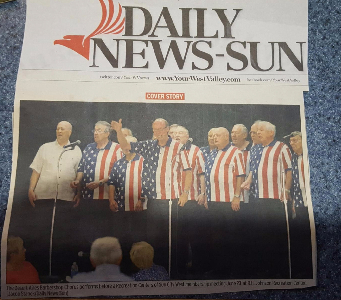 Below is a photo which appeared in the Daily News-Sun of our own Desert Aires performance at a meeting of the Sun City West residents at the Rec Center Social Hall on June 23, 2016. 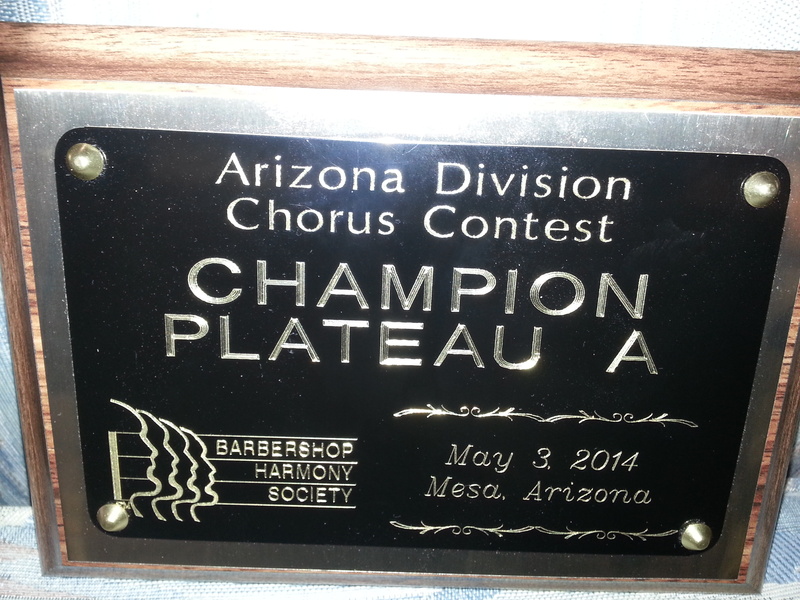 Our organization is dedicated to the preservation of the music style known as Barbershop Harmony. 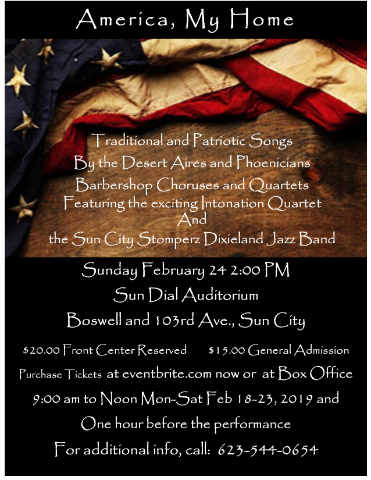 Although our average age is 76 years young, and our oldest member is 89, we strive to entertain and educate audiences in the West Valley about the music of the heralded "Tin Pan Alley " days to the four-part, a cappella music of more recent times. We enjoy entertaining those who want to listen to great a cappella singing. If you haven't had the opportunity to hear us, drop in on one of our meetings. 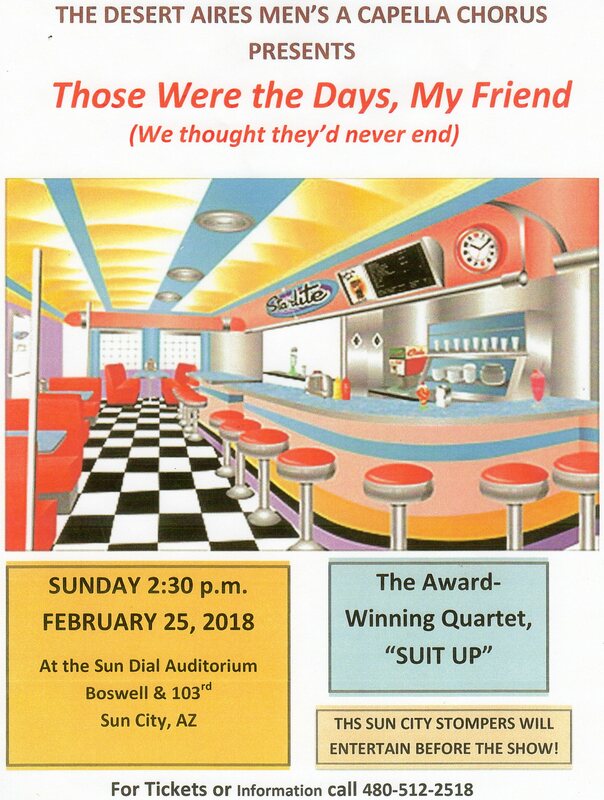 Bookings of the Chorus or its' Quartets may be arranged by contacting Bill Shaw at (623) 764-8072. You may also reach us by Email at info@desertaires.net Find out how to Join Us! We love to entertain by putting on our own musical events each year for the community, our friends, and families. 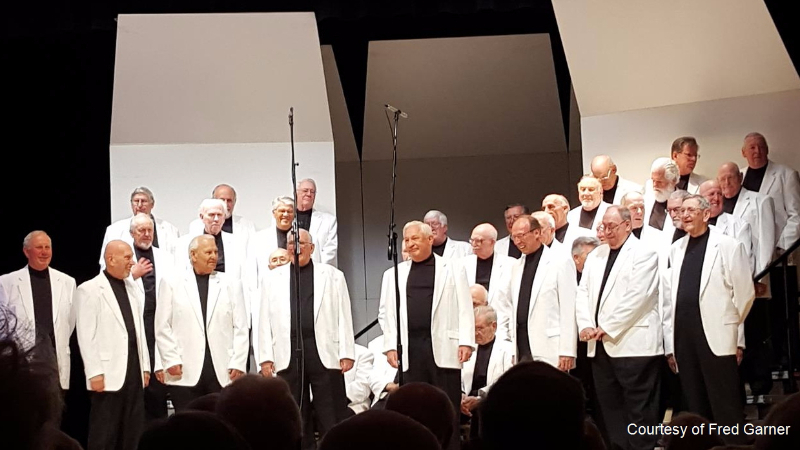 We sing at festivals, retirement homes and public events throughout the year and in an effort to stay committed to singing and performing at the highest level possible, we compete each year in a Divisional contest.